Saddle pad Anna Scarpati QUAKS ASUP model worked with edges and ropes. 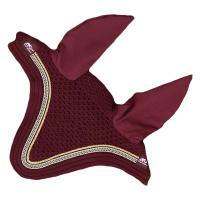 Jumping show saddle pad, with double diamond quilting, with applied cord and decorative ribbon. One size FULL, 65% polyester and 35% cotton.